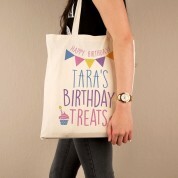 Wish someone special a 'Happy Birthday' in style with this one of a kind cotton tote bag, complete with the recipient's name! 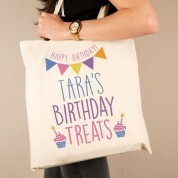 Use it as a re-usable gift bag and fill it with treats for the Birthday girl! 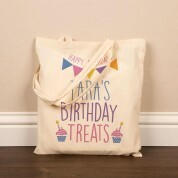 The design includes feminine colours, with tasty Birthday cupcakes on either side of the text and cute bunting. 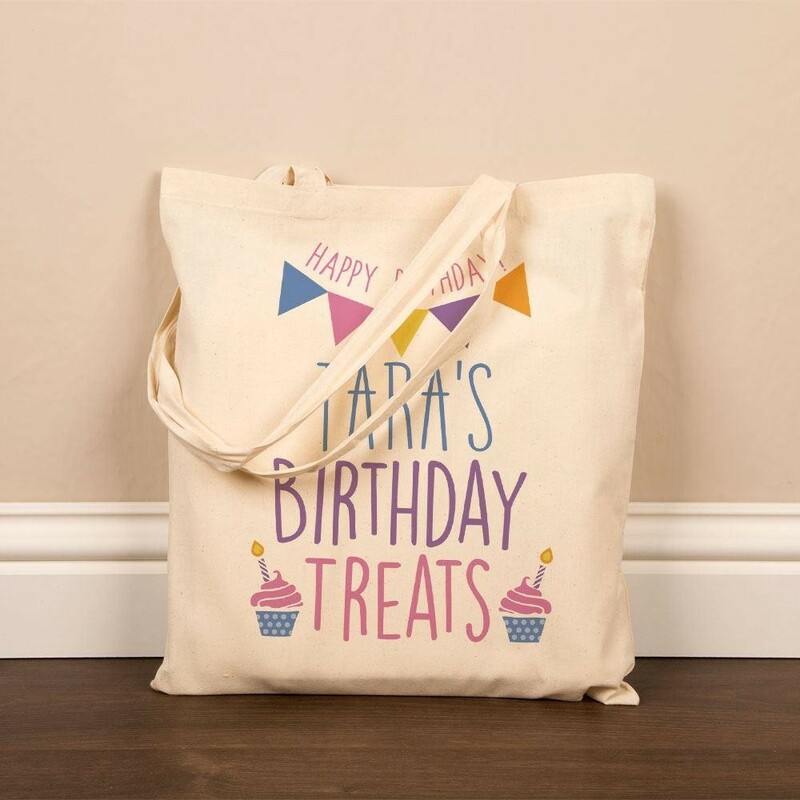 A personalised keepsake to enjoy again and again.